Forum’s Rules, Introduction & A Welcome To Our Community! This is a section dedicated to the introduction of our community forums and shedding some light on its rules, purpose and goals. It is also the section where all the members from taxi drivers and taxi customers are invited to say "Hi" and introduce themselves after joining our community. This section is dedicated to the very important question of "How to become a better taxi driver?". 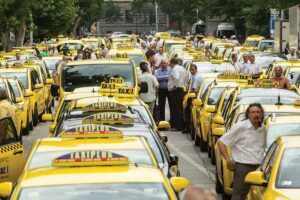 It is also the section where you can ask all the "How to" questions that are related to the taxi industry and to the profession of being a professional taxi driver. This is a section to discuss all the safety issues and concerns taxi drivers face everyday on the job. It is also the section to report any crime or violence committed against you or someone you know. This is a section of the forums where taxi drivers worldwide can share and discuss with each other their problems and concerns in regards to the taxi industry or anything else. If you're city isn't listed then please get in touch with us so we can add your city to this forum. This is a special section where taxi drivers and taxi customers from all around the world are invited to share their unpleasant experiences and stories with uber. Please be truthful and do not exaggerate. Uploading photos and videos with your stories is permitted and highly encouraged. Samsung’s customer support staff may be wrong and clueless too many times to count, but they might have been right about the Galaxy Note 9 joining the One UI (Android Pie) beta.